Easy Flowlines - Traust Know How ltd. The TKH flowlines are designed to utilize the capability of operators to increase output and the quality of work in any stage of the processing. Ergonomic design of the working area ensure good working conditions and quality output. Every operator works indipendantly on his/her own working station. 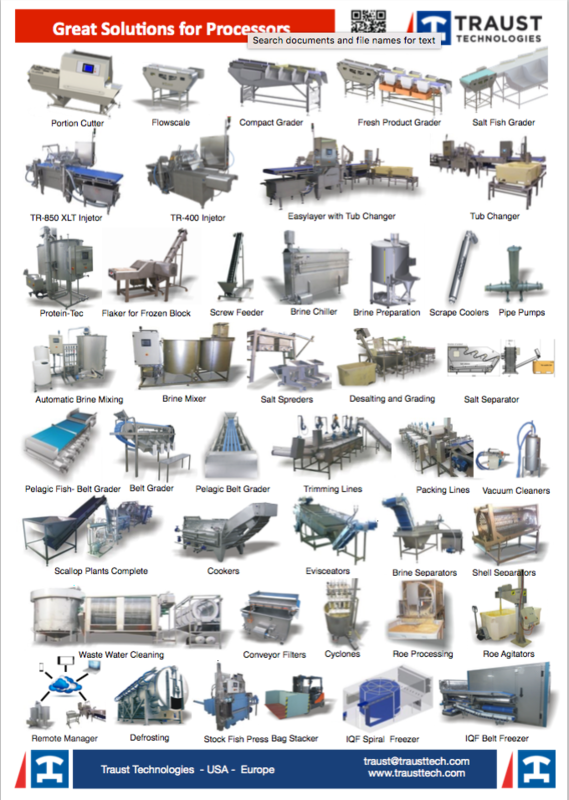 Continous flow of material based on the principe first in - first out ensures freshness and higher quality products. Elimination of manual handling of trays, moving products around etc increases the output compared to traditionally working processing lines. Shortened processing time and products traveling on the line and no delays or temporary stock means better shelf life. Flexible and simple design is the key to low investment and high capacity and better quality. 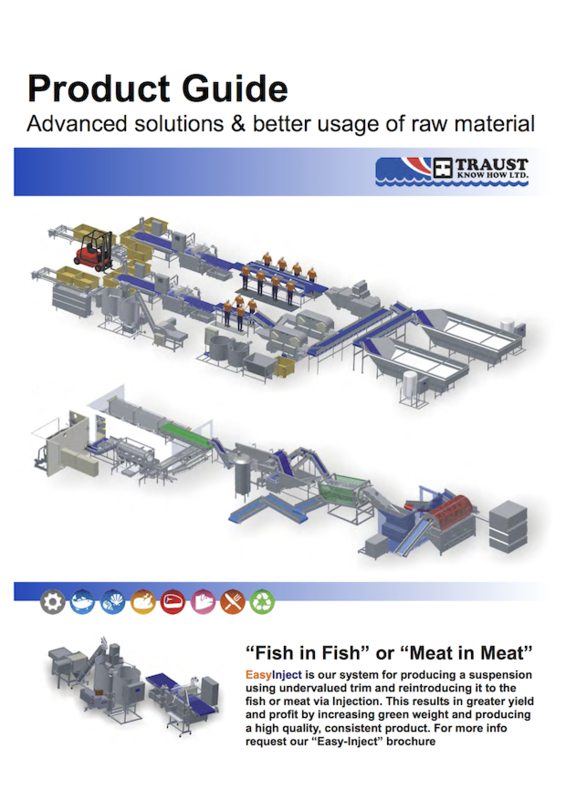 Our flow lines can easily be adapted to different types of species for multiple trimming, portioning, grading and packing.